CAMBRIDGE, Ohio – The Southeast Ohio Symphony Orchestra is getting kids up and dancing. “So what do you do at parties? Well, first of all it’s fun. The music’s a lot of fun and we get kids up and dancing. So we’ve got a great party of a concert today,” said Music Director, Dr. Laura Schumann. 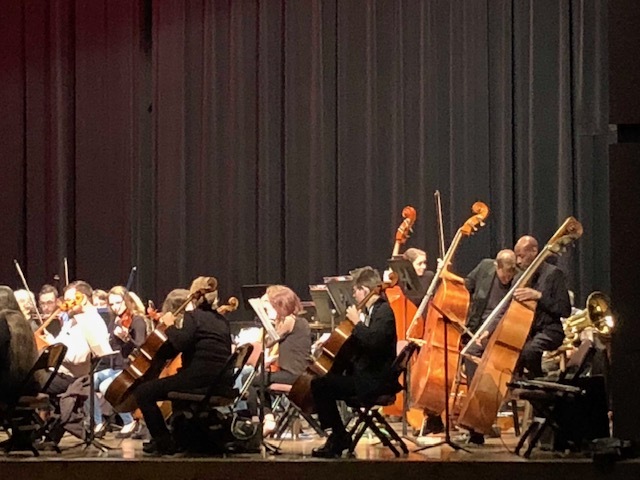 The orchestra is made up of an array of people, from high school apprentice students to regional musicians from the area. This concert has been annually put on for over 15 years. Schumann also said it is important for children to appreciate music at a young age so they can have a creative outlet. “Much better to put an instrument in a child’s hand and let them learn and be creative than a gun or a weapon. So much better, so much nicer, they have something already in their hand. And they can create and it’s built on love,” she said. The Southeast Ohio Symphony Orchestra has another concert coming up on April 28th at Brown Chapel at Muskingum University campus. The theme for the concert will be movie themes.